A global spotlight will be shone Thursday on an often overlooked yet very important organ: the kidney. Known as World Kidney Day, March 8 marks the annual return of an awareness campaign aimed at encouraging people to look after their kidneys and to raise funds for life saving research. As the day also happens to fall on International Women’s Day, this year’s theme is Kidneys and Women’s Health: Include, Value, Empower. According to statistics, 195 million women worldwide are affected by chronic kidney disease. Among those is local woman Patty Price, who is also a board member with the Kidney Foundation of Canada Kingston chapter. While those diagnosed with CKD can face some major challenges in their day to day lives, the disease itself isn’t always visible to others. For some that suffer from the disease their treatment involves trips to a hospital’s dialysis unit several times a week for hours at a time. Recently the Lennox and Addington County General Hospital opened a satellite dialysis unit, which has been a huge help to local patients who are spared a trip to Kingston for treatment. Price says research has come a long way in improving the quality of life for patients, but there’s still much work to be done. Among the organizations helping to raise funds and awareness is the OHL’s Kingston Frontenacs, who will be holding a Kidney Night game Friday night at the K-Rock Centre. Proceeds from tickets sold from that night will go to The Kidney Foundation of Canada. Puck drop against the Ottawa 67’s is 7 p.m. The Kingston chapter of the foundation will also be holding its annual Kidney Walk in September, which is its largest fundraiser for the year. Anyone interested in getting involved can visit the group’s Facebook page by searching Kidney Foundation of Canada, Kingston Chapter. Last year the Kingston chapter raised the second highest amount of funds in all of Ontario. 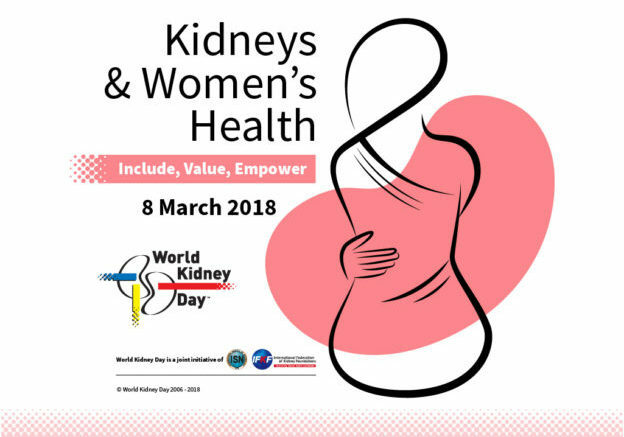 As part of the celebration, organizers for World Kidney Day are encouraging people to follow eight golden rules for caring for their kidneys: keep fit and active, keep control of blood sugar levels, monitor blood pressure, eat healthy, maintain healthy fluid intake, don’t smoke and limit the use of over the counter pills. They also encourage people to get checked if they have diabetes, hypertension, are obese, have a family history of CKD or are of African, Asian or Aboriginal origin. For more information, visit www.WorldKidneyDay.org.